When Geoffrey K. See, Choson Exchange’s founder, first heard a female North Korean university student say this in 2007, two thoughts came to mind. First, there is so much we do not know or understand about North Korea. Second, there must be a way to help people like her—young and highly motivated entrepreneurs with aspirations to create new business opportunities. From 2009 to 2012, Choson Exchange conducted occasional training programs in entrepreneurship, economics and law in North Korea. We created programs looking at topics in two main streams. The first was economic policy, focusing on issues such as domestic banking and financing of agriculture, Special Economic Zone management and exchange rate policies. The second was entrepreneurship and business skills, including everything from budget management to marketing to soft-skills, such as team building and pitching for investment. Since 2009, we’ve had over 1,200 workshop attendees and have brought over 100 North Koreans abroad to study. However, the aforementioned student’s words had a lasting impact and in 2013, after then-Secretary of State Hillary Clinton catalyzed global interest in women’s issues, we were able to find enough support to launch a “Women in Business” program. This became Choson Exchange’s longest-running program until it ended in 2016, in a field where efforts to support entrepreneurship in North Korea are often stymied by domestic politics and international tensions. In this case, funders surveying a world in which women entrepreneurs need support have grown cold on the DPRK, which presents sanctions, reputational and logistical risks that other places simply do not. According to the 2001 World Bank study, Engendering Development, countries with less discrimination against female participation in the economy have better outcomes across a wide variety of metrics. Countries with more inequality, the study noted, “pay the price of more poverty, more malnutrition, more illness, and more deprivations of other kinds.” When women run businesses and get the promotions they deserve, not only do companies do better, societies do better. In 2013, we felt the time was right to support women in business in the DPRK and sought to prove such a program was viable. The North Koreans we work with were initially dubious of the enterprise. This was partly because of the extra work it would require to get the new program off the ground. But it also meant they would have to pitch the idea to companies who were generally skeptical about business training in Korea as a whole, and preferred to send males to management training programs. In fact, when we started, some North Koreans suggested we focus on medicine or agriculture instead. Moreover, some of our interlocutors saw this program as discriminatory: “You should take me on this study trip to Singapore,” one smooth-talking young man argued. “In the end, to get anything important done here you’ll have to speak to men, anyway. “That kind of attitude is exactly the reason we’re only taking women,” our Executive Director replied. Funny—we never saw that guy at a program again. International observers were also skeptical. There was positive economic policy experimentation in North Korea from 2010-2013, but questions remained about whether it was real and sustainable and about the depth of the DPRK’s interest in entrepreneurship. It was well known that at the grassroots level—in the growing market spaces—women were playing a huge role in the economy, but it was uncertain whether they also had the potential to do so with bigger companies as well as start-ups. While this skepticism was understandable, there was recognition that North Korea has an evolving social contract and a changing economy, one that recognizes market forces like never before. It was our view that these positive trends made it all the more important to support female entrepreneurship in whatever ways were possible. The kinship between our workshop leaders and participants was at times inspirational. The recognition of common challenges fostered solidarity that helped to bridge the huge cultural, political and economic divides between the foreigners and the locals. Seeing cross-cultural mentorships emerge, however time-constrained, was quite special. In this three-year period, we trained 504 participants directly, and another 1,000 indirectly through sharing of materials. This was spread over nine workshops in North Korea and five programs abroad. These activities persisted despite numerous disruptions—the “semi-war mobilization” of 2013; another tearing up of the armistice; and the execution of Kim Jong Un’s uncle, Jang Song Thaek. One particularly frustrating period was the four-month Ebola quarantine in 2014-2015, during which time virtually no one went in or out of the DPRK. Despite these challenges, and thanks to our dedicated North Korean partners, we managed to get an overseas workshop implemented just days after the travel ban was lifted. Using gender issues helps our volunteer workshop leaders open spaces to raise topics that are seldom discussed, such as the importance of networking among business leaders and minimum wages. Implementing a minimum wage, for example, almost always has the greatest benefits for women, as they tend to occupy the most precarious jobs in society. But it implies a wage and flexible labor-taxation social contract, something still sensitive in a country resistant to the idea of an official tax system. We found that ideas and concepts about meeting consumer demands and marketing strategies were important to businesswomen, especially if they had a clear impact on their economic livelihoods or ability to start or grow a business. We hoped, therefore, to be able to support a formal women’s business network. That didn’t come to pass, but our repeated emphasis on women peer support networks was well-received as audiences quickly realized how they could grow their businesses with advice and support from others in similar positions and with relevant experience. One participant, a restaurant owner, implemented an idea proposed by a workshop leader to organize networking dinners. In the future, such peer groups could be a vehicle for a variety of projects, including micro-financing. 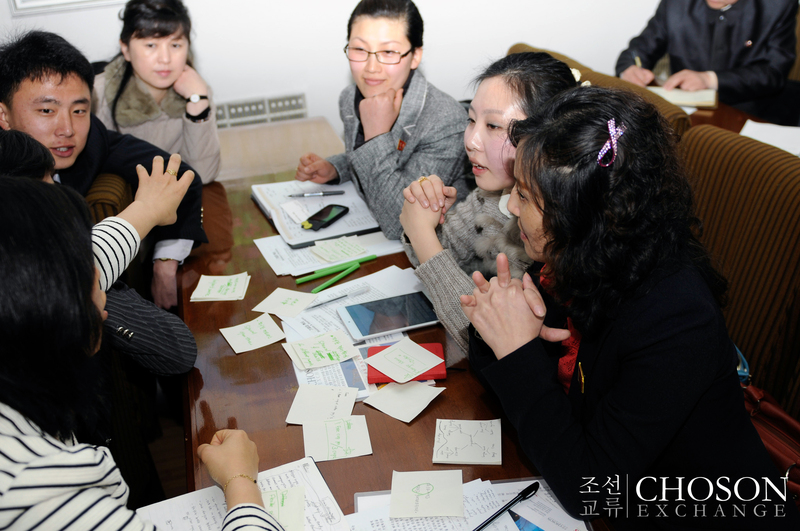 During the course of our Women in Business program, the broader business environment in North Korea changed. In 2010, the role of businesses—especially smaller ones—in society was somewhat tenuous. Now there is a widespread recognition that business activities are an unavoidable and positive force. Businesses such as retail, food and beverage services, and small-scale manufacturing appear to have a high number of female entrepreneurs. Those that attend our programs tend to come from more vocational backgrounds, while the “best educated” women (i.e. those from top universities) still seem to prefer professional careers or government jobs. We worked hard over the past few years to gain greater mainstream acceptance for female entrepreneurship, and our efforts paid off with higher levels of female participation in our program—from just over 50 percent in the beginning to 70-80 percent for in-country and over 90 percent for overseas programs. Exposure to our programs has encouraged some of our more educated female participants to consider business as a career. 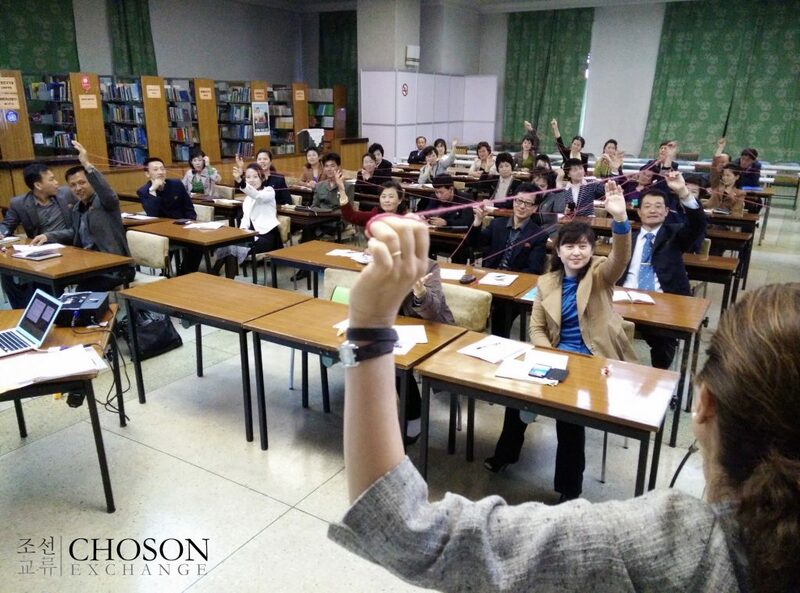 Choson Exchange’s long-term relationships with partners, especially younger females, gave us champions for the Women in Business program that will pay dividends in the future. Despite this program coming to a close, we will keep encouraging high female participation in our programs going forward, even if we can no longer find support in this funding climate to start and sustain more robust programs. This speaks to a trap that we unfortunately fell into. Long-term initiatives require long-term strategic planning, but that just hasn’t been possible with the piecemeal funding available for training in the DPRK right now. We’re incredibly grateful to the many sponsors we’ve had, but future programs need to find a model that can be self-sustaining—something difficult to do today as North Koreans are unwilling or unable to pay for this kind of education. Geopolitical uncertainty and the optics of working in North Korea also act as a constraining factor for long-term international donors. For women, high-level representation in businesses continues to be rare—at the upper levels male-dominated state-owned enterprises still command the economic heights. It will be important to find ways to institutionalize female business associations and advocacy so that strong women entrepreneurs can move beyond being seen as familial breadwinners towards being national business leaders. Not too far in the future, we can reasonably envisage the base of talent we have seen over the last four years scaling upward, copying some of Asia’s female business leaders and building the VietJets, supermarkets and nationwide café chains of the DPRK. Hopefully someone will be around to help them get there. Given the reluctance to run an all-female program, we started by asking for just 50 percent women, as proof-of-concept.